Stabilizes your ankle during sports activities and helps protects against sprains! Secure fit and maximum stabilization: the extremely light Sports Ankle Support features an innovative taping strap which supports the ligaments and helps protect your ankle against sprains and twisting. When you want to perform at a high level you need to know you can depend on your body in any situation. The premium sports ankle support of our SPORTS LINE will boost your self confidence to know your body can handle the stress that comes with sports activities. 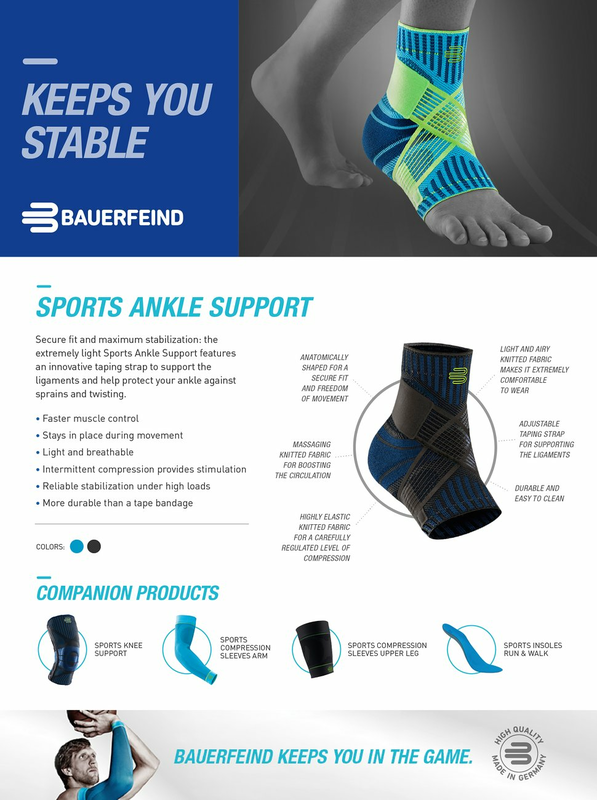 The Bauerfeind Sports Line results in better endurance, less fatigue and quicker recovery times!